SmoothSkin Gold 200 IPL Permanent Hair Reduction Device for Body & Face (2016 Model). The Perfect Gift or Treat Yourself. 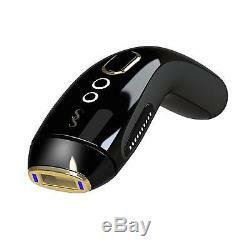 The Fastest and most Powerful at home IPL hair removal device on the market. A full body treatment in just 20 minutes. Safe and Easy to Use with'Gentle Mode' for sensitive areas, SmoothSkin Gold is suitable for skin tones 1-5. Driven by Intelligent ipulse technology,'Detect and Set' delivers the right treatment every shot. Clinically Proven to produce oustanding results; 94% of users experienced permanent hair reduction. SmoothSkin Gold includes up to 200,000 flashes, and is suitable for use on the body and face. SmoothSkin Gold is the fastest, most powerful IPL in its class. Our device offers an unparalleled beauty experience in the comfort of your own home and has been designed with unique features for simple, relaxed and effective hair removal. Made in the UK, SmoothSkin Gold comes from a 30-year heritage in light-based beauty and SmoothSkin were the first to discover how light can be used for hair removal. The repetition rate of the SmoothSkin Gold has a minimum time interval of 0.9 seconds when operating at the highest output level. This is shorter than the published figures for competitive devices [July 2014]. 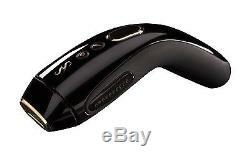 Easily treat unwanted hairs in just a few moments making treatments quick and easy. At its fastest, the time between flashes is less than one second which means you can treat large areas quickly. Part of the unique beauty experience with SmoothSkin Gold is the Detect and Set feature. This feature means you do not have to worry about choosing skin tone settings as the device automatically detects it for you. It is very simple and you can see your skin tone setting indicated by the power bars either side of the treatment window. Safe & Easy to Use. Our device is all about taking complex technology and making it simple. 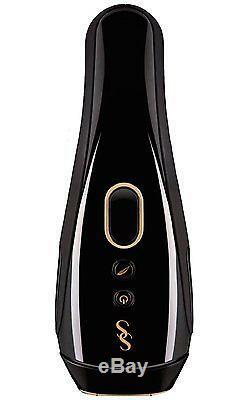 SmoothSkin Gold has a unique Detect and Set feature for safe personalised treatment, it has dual treatment modes (Glide and Stamp) and most importantly no gel. All these features together with the beautifully crafted, ergonomic design combine to give you the best IPL hair removal experience possible. For Use on Body & Face. SmoothSkin Gold can also be used to remove unwanted facial hair. As the facial area is generally more sun exposed our Detect and Set feature means you can safely treat the face. The Detect and Set feature automatically selects the most accurate energy setting for you every time. So you do not need to worry about areas exposed to the sun as the device adjusts the energy level to suit your exact skin tone. SmoothSkin Gold includes 200,000 flashes. It is recommended you follow the 12-week regime and then continue treating monthly as and when required to maintain beautiful, hair-free skin. You have more than enough flashes to treat the whole body and the face for up to ten years. Glide & Stamp Treatment Modes. SmoothSkin Gold offers dual treatment modes making it ideal for both small and large areas. Glide Mode is advised for large treatment areas, such as the legs, where you hold down the activation button and continuously glide along your skin between each flash. Stamp Mode is recommended for smaller delicate areas, such as the bikini line and you simply place the device on your skin each time you flash for maximum precision. Pressing the Gentle Mode button will reduce the energy released by the device which can help those who have sensitive skin. This button can be easily deactivated and the device will return to its standard power settings. SmoothSkin Gold comes in two versions (120 and 200). Both versions are exactly the same in terms of their key features and performance. The only difference between them is the number of flashes each device comes with. SmoothSkin Gold 120 comes with 120,000 flashes--enough for 6 years based on our recommended treatment regime. SmoothSkin Gold 200 comes with 200,000 flashes--enough for 10 years based on our recommended treatment regime. 94% of women experienced noticeable permanent hair reduction. 83% of women had, on average, 83% less hair. 96% would recommend it to a friend. Is it suitable for me? SmoothSkin Gold is suitable for all but the darkest skin tones. It is NOT recommended for use on red, grey or very light blonde hair. SmoothSkin Gold is proven by independently approved clinical trials that show noticeable hair reduction after just 3 treatments. For best results, we recommend a 12-week regime followed by monthly maintenance treatments as required. Based on a clinical study of 50 participants fully approved by the Independent Ethics Committee (IEC). Can you use SmoothSkin Gold on the Face? Yes, SmoothSkin Gold is safe to use on facial areas. Stamp Mode is used to help treat delicate areas such as the upper lip and the chin, making it easier to deliver precise, targeted hair removal. SmoothSkin Gold is designed to help break the cycle of hair growth. The light energy is transferred through the skins surface and is absorbed by the melanin present in the hair shaft. The absorbed light energy is converted to heat energy (below the surface of the skin), which disables the hair follicle preventing further growth. Treated hairs naturally fall out over a period which can vary from a few days to 1-2 weeks depending on the individual. You can treat the whole body in less than 20 minutes. Lower legs: 8.75 min. Upper legs: 8.75 min. Bikini line: 0.88 min. Upper lip: 0.05 min. 1 x Quick start guide. The item "SmoothSkin Gold 200 IPL Permanent Hair Reduction Device for Body & Face NEW" is in sale since Thursday, November 19, 2015. This item is in the category "Home, Furniture & DIY\Appliances\Other Appliances". The seller is "romo_uk" and is located in London. This item can be shipped worldwide.